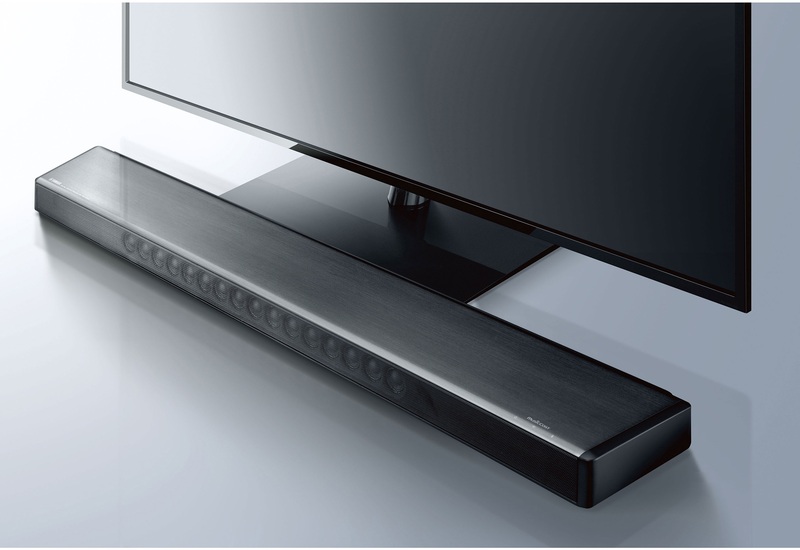 Immerse yourself in true 7.1-channel surround sound from an ultra-slim sound bar. The YSP-2700 features Yamaha proprietary Digital Sound Projector technology with 16 speakers powered by 16 amplifiers delivering lifelike sound with remarkable presence, detail and clarity. Dolby® TrueHD and DTS-HD Master Audio™ offer high-definition audio processing. MusicCast provides versatile wireless connectivity (Wi-Fi®, Bluetooth®, AirPlay® and Spotify Connect), access to streaming services and music libraries, and wireless multiroom audio control using a simple app on your smartphone or tablet. While typical sound bars offer only “virtual surround,” the YSP-2700 is equipped with a 16-speaker array and Yamaha exclusive Digital Sound Projector technology to deliver true 7.1-channel surround sound. The result is an expansive and immersive listening experience that brings your favorite TV shows and movies to life. The MusicCast Controller app can be used with a single MusicCast product or with multiple MusicCast products. The app features a beautifully designed display, which you can customise to your taste. Operation requires simply tapping the display, making it extremely easy to enjoy the music you want to hear. In addition, by using the YSP-2700 Beam setting or surround adjustments, you can perform detailed sound adjustment. This app puts control of your home listening experience in the palm of your hand. It can be downloaded for free from the App Store or Google Play. The exclusive Yamaha IntelliBeam™ auto calibration system makes setting up your sound bar easy. Using the supplied microphone to measure room acoustics, IntelliBeam automatically sets the best beam angles while optimizing the level and frequency response of each beam. This makes initial setup both extremely simple and acoustically perfect. 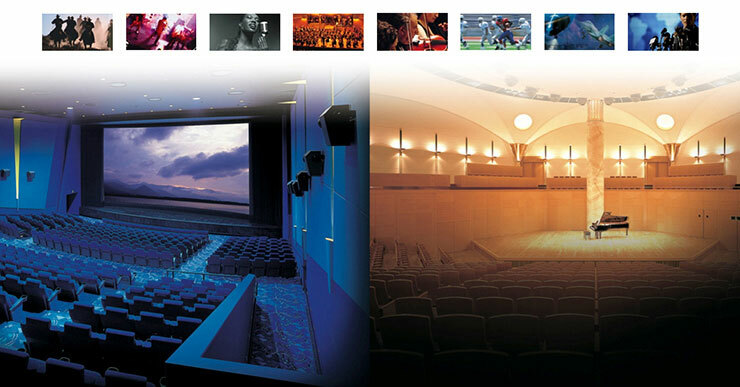 Yamaha CINEMA DSP Digital™ programs are based on actual sound field data, measured in famous concert halls, jazz clubs, live performance venues and theaters. The result is an amazingly spacious and realistic sound field experience for enjoying music and viewing movies in your living room. The YSP-2700 features 10 different surround programs. The sound bar body is made from aluminum with outstanding rigidity for best sound performance, while the top panel — also aluminum — features a hairline finish to give it an elegant appearance. The understated subwoofer also blends nicely with your entertainment center. Only 2” tall, the sound bar fits perfectly in front of a TV without blocking the picture. It can also be placed on the shelf of TV furniture or mounted on a wall using an optional accessory bracket. The subwoofer eliminates the need to connect cables, so setup and placement are faster and easier. This convenient subwoofer delivers powerful, high-quality bass sound. Stream it all. Listen to Pandora®, Spotify, Napster®, SiriusXM Internet Radio, thousands of free internet radio stations and the music stored on your smart devices and computers. Wireless connectivity. All MusicCast products are fully loaded with Wi-Fi, Bluetooth and AirPlay®. The YSP-2700 decodes HD Audio signals to ensure that you hear the best possible sound from Blu-ray Disc players, as well as from other digital sources. The YSP-2700 has three HDMI input terminals and one HDMI output terminal, and supports 4K/60p video signal pass-through. It’s also compatible with HDCP 2.2 digital copy protection. This gives it extensive expandability, so you’ll be able to use it far into the future.